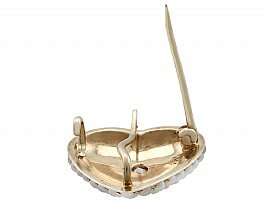 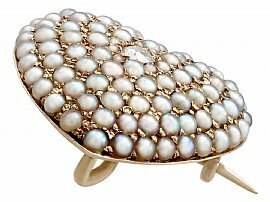 This fine and impressive antique pearl brooch has been crafted in 14ct yellow gold. 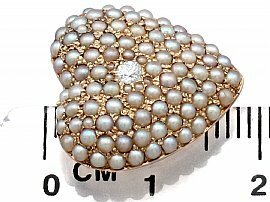 The brooch has been modelled in the form of a domed heart, a feature 0.07ct Old European round cut diamond ornamenting the centre of the design. 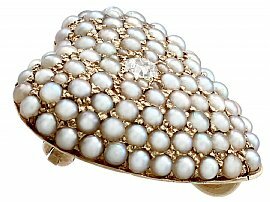 The surrounding anterior face of the brooch is embellished with a total of ninety-three pavé set seed pearls, each approximately 1mm in diameter. 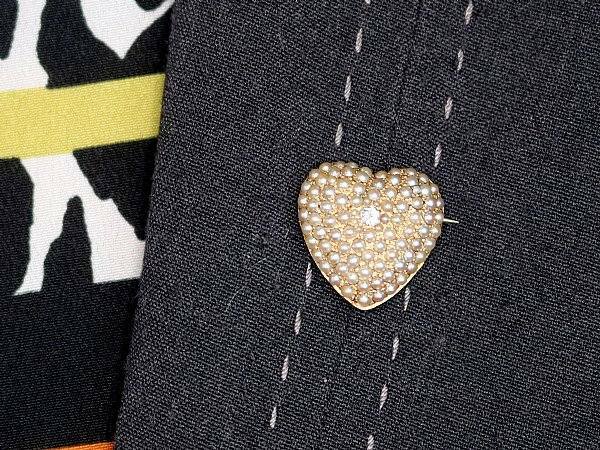 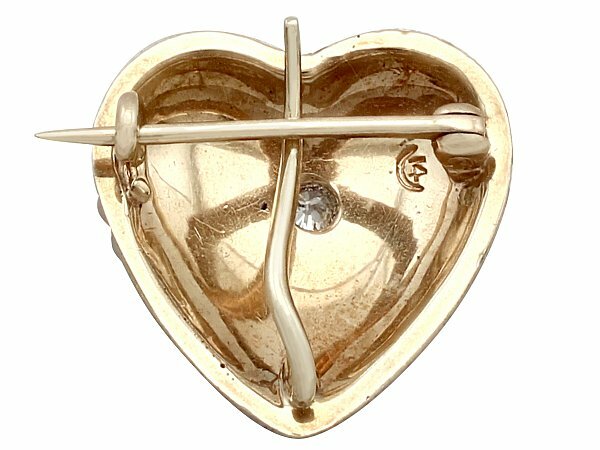 The pearl heart brooch secures to the reverse with a hinged pin and clasp. 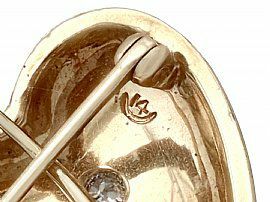 The reverse of the setting is struck with the 14ct gold hallmark (crescent 14). 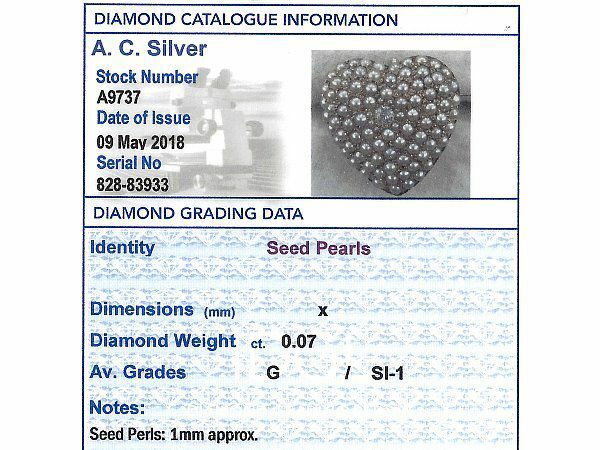 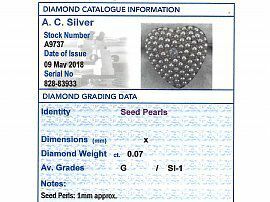 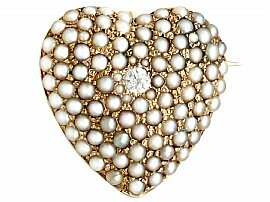 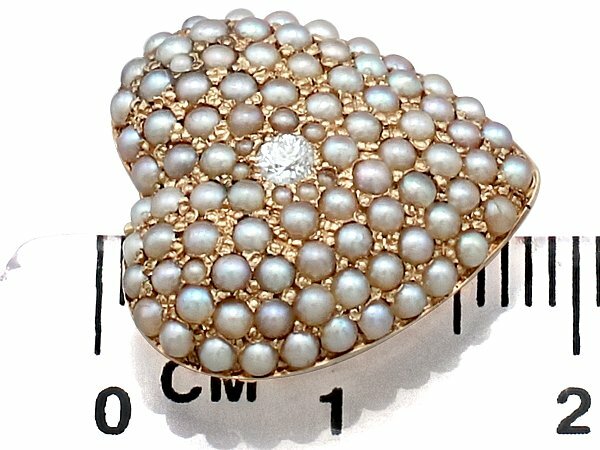 This impressive antique pearl heart brooch is supplied with an independent diamond grading report card. 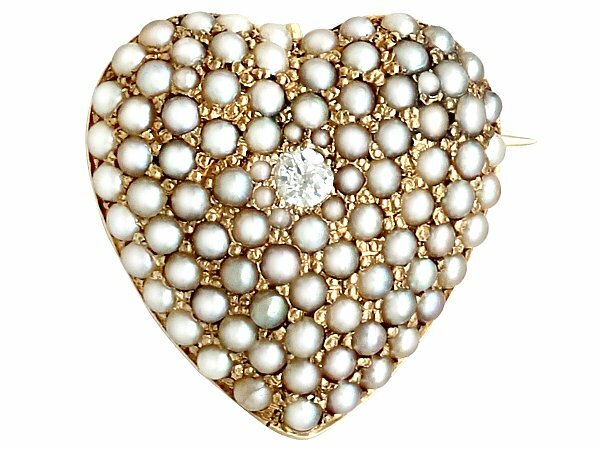 This impressive antique 1900's heart brooch is fine quality set with seed pearls and a very high colour graded old cut diamond.